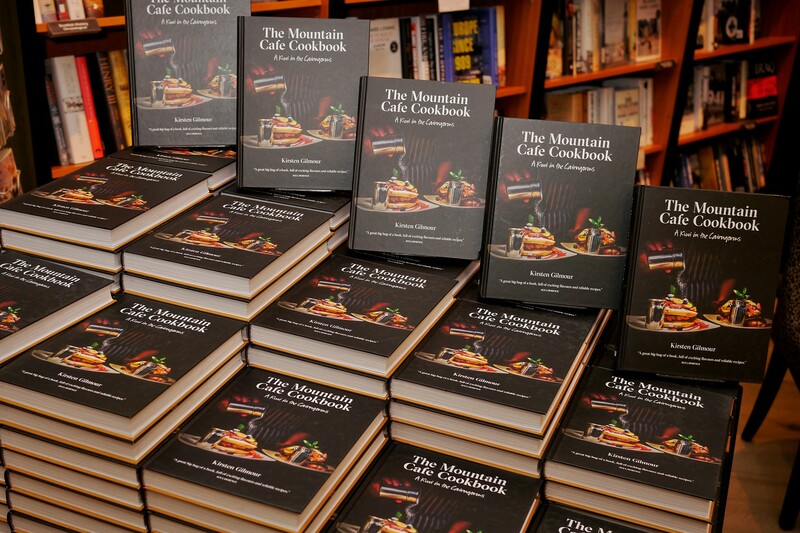 Launched in February 2017 the Mountain Cafe Cookbook – A Kiwi in the Cairngorms has been an overnight success. The book contains over 130 recipes. It includes recipes covering a wide range of our food over the years. Furthermore, the book is a culmination of the cafe’s achievements to date. As well as a wee celebration of our history. Kj is really keen to share our food for you to make for yourselves. A further aspect to the book tells the story of how Kj started the cafe. Alongside this she thanks / mentions all the amazing people that have worked here to contribute to our successes over the years. Within a month we sold over 1000 copies and we have had 5 or 6 more print runs! If you haven’t got it already, you can buy our book through our web shop here. We’ve are constantly overwhelmed by the amazing feedback from people cooking from the book. We especially love all the photos posted to our facebook page of the creations you’re making at home from the book. Nothing makes us happier than seeing you all enjoying and being inspired by it!